"Rachel was an exceptional lawyer. She kept me very calm while I was going through an emotional time. Her responsiveness was quick and concise. I would highly recommend her." "I hired Rachel in May for a very complicated custody case. There were three different states involved and my son's father had no intention of backing down. Rachel always remained calm, collected, and informative. She responds quickly to emails and is very efficient. I am pleased to say that after 18 weeks and several court dates, Rachel was able to get my son's father and his attorney to sign an agreed parentage plan. She made me feel like she always had my back and she would only do what was in the best interest of me and my child. If you want someone who is going to work hard, care about your case, and put in the required efforts to WIN, then Rachel is who you should hire!" Ms. Hewitt represented me in my divorce in 2003 and then again in 2008 when my ex-husband decided he did not want to decrease his child support payments. I cannot say enough great things about Ms. Hewitt. She was outstanding in mediation, court and everything in between. I have not needed an attorney since then but if I ever do Ms. Hewitt is the first attorney I will call. She is amazing. "I’d recommend Rachel to any of my friends. After working with a couple attorneys in the past, I’ve learned you don’t always get what you pay for, and that initiative, preparation, and knowledge of “the system” are key qualities to seek in an attorney. Rachel represented me in a challenging custody case and I could not be more pleased with how she handled everything. She shot straight with me, guided me through a very daunting process and protected me from making emotionally driven decisions. While she never made any promises on judicial outcomes, she gave me confidence by being very clear about the strengths/weaknesses of my case and being VERY prepared. As a bonus, while always professional, she also has a good sense of humor (which really helped during the high stress moments!) 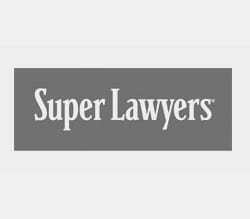 A great attorney and worthwhile investment." "I found Rachel at a time of need. She made a difficult period in my life very bearable to say the least. As a completely knowledgeable and compassionate woman, she took to me through a very challenging time in a very professional and caring manner. I would recommend Rachel to anyone who is in need of legal counsel with family life matters. I personally felt very blessed to have Rachel in my corner to see my case to a successful closure." "Ms. Sharp represented me in my divorce that involved a minor child. Ms. Sharp was very informative and honest. She was great at explaining everything in the process and made sure I thought out some very difficult decisions. She always returned my calls and emails in a timely manner. I would highly recommend Ms. Sharp." 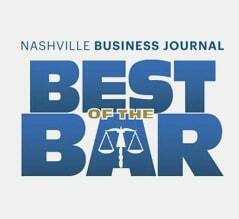 "I had a terrible experience with another Nashville attorney while trying to iron out a solid parenting plan. I had almost given up on everything until I contacted Rachel. She was honest, diligent and always prepared. I have had to use Rachel several times over the past two years to deal with a difficult family situation and I am very pleased with the results. I would highly recommend Rachel to anyone dealing with divorce or child custody issues and I will continue to use her in the future if necessary." Divorce is a life changing event, it is critical that you have a good attorney. Karla and her staff are prepared and do not waste your time. I was thankful I made a good choice, I asked a friend and that's how I found Karla. While legal services aren't cheap you don't want to end up paying for an attorney that is not equipped to handle your case. I encourage you to use someone that will truly help you and have your best interest at heart. Karla represented me through a contested divorce and custody battle. Throughout the process she kept not only my best interests in mind, but that of my sons as well. It wasn't an easy case and it did take a lot of time and effort, but I never felt lost in it all thanks to her and her office. They worked with me to sift through all the legal hurdles to get me exactly the results I wanted. Thanks to Karla I have full custody of my sons...no small feat in and of itself for a single dad in Tennessee. If you want the best results, Karla is the best lawyer for the job. "Rachel is a wonderful attorney. Never thought I would be getting divorced but she is a no nonsense lawyer who understands her clients and listens. She got me with the right mediator to get my divorce settled as quickly as she could. She knows how to cut through all the bs and work through issues that need to be dealt with great professionalism. I highly recommend Rachel!" "Rachel assisted me with not only my divorce but also a later custody battle. She was very responsive, direct and talented. All of which resulted in a positive outcome. She always had my best interest in mind. She is down to earth, easy to work with and made the entire process very comfortable. If you are looking for a Trustworthy, hard working, open / honest, positive results, all around professional attorney; Rachel Sharp IS it." "I have had the pleasure of working with Rachel on two different occasions. My experience was consistent each time. Rachel was incredibly knowledgeable about the law, the process and the people. She was responsive to my inquiries and spent the time to ensure I was comfortable with the process throughout the proceedings and at the conclusion. I have recommended Rachel twice, with positive feedback, and will continue to do so." "Rachel helped me in my international divorce and custody case. I would recommend Rachel for any of your legal needs." Divorce Client – I would definitely recommend Karla! "I was referred to Karla by a friend when I learned that I would be going through an unexpected divorce and needed an attorney quickly. From my initial contact with Karla she was all I could have asked for and more. She was kind and compassionate (which was wonderful), but she was also very knowledgeable and quick to provide clear and meaningful legal advice. She provided timely guidance and support throughout the process. I would definitely recommend Karla!" "I was referred to Karla by a friend when I learned that I would be going through an unexpected divorce and needed an attorney quickly. From my initial contact with Karla she was all I could have asked for and more. She was kind and compassionate (which was wonderful), but she was also very knowledgeable and quick to provide clear and meaningful legal advice. She provided timely guidance and support throughout the process. 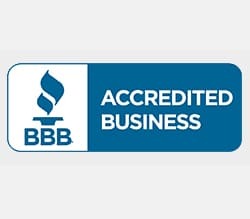 I would definitely recommend Karla!" Divorce Client – Worth Every Penny! 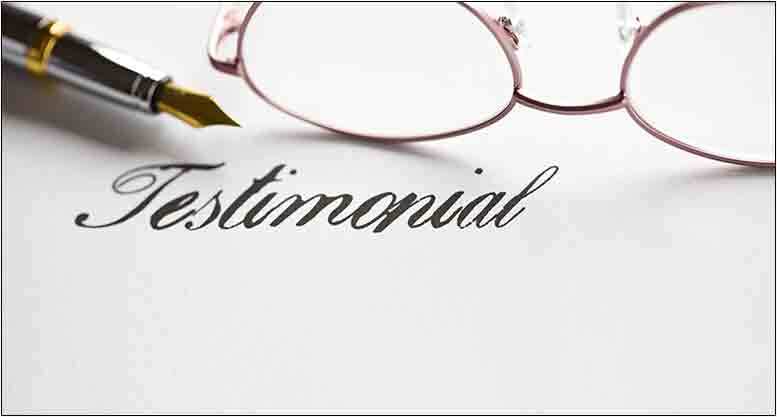 "I have been very fortunate over the years to have not needed the services of a lawyer so when it came time to find a divorce lawyer it was a little intimidating. Due to the circumstances surrounding said divorce I had a short window of time to find a good one in order to take advantage of certain opportunities. Boy did I get lucky. Karla was able to explain the process in layman's terms from the start which really put me at ease. She and her professional staff were accomodating and provided honest advice throughout the process even if I didn't want to hear it. Karla was so prepared compared to the opposing lawyer it almost seemed unfair. Her experience in general and especially in Wilson County was invaluable in my case. In the end, Karla helped me avoid an expensive hearing by brokering a very favorable mediation settlement. 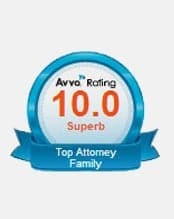 While I hope I don't need another lawyer for the foreseeable future, I would have no hesitation recommending Karla and her firm to my closest family and friends." "Not only do I respect Ms. Sharp on a professional level but she is also honest and reliable on a personal level. Ms. Sharp took time to meet with me every time I needed her and I never felt rushed or "a bother." She returned phone calls and emails promptly and was dependable on our court dates. As an attorney myself, I know that many clients expect us to be "miracle workers;" however, the essence of a good attorney is one that is truthful with the client concerning both the positives and negatives of a case. She did not promise me a certain outcome but rather worked with me to find the best solution for my situation. She was truly engaged in my situation and genuinely cared about me as a person. Family law matters are never easy to face; however, Ms. Sharp was exactly the person I needed to offer hope and support through professional and ethical legal guidance." "I recently went through a very sudden and unexpected divorce and was blindsided with the reality of what that meant for me. Rachel was my saving grace and my guide. Her level headed and even handed approach to each staggering situation helped me to calmly and rationally navigate the waters, trusting her knowledge and experience to lead the way. Thank you Rachel."